What if I told you that instead of hitting the pavement for that dreaded 2 mile run, you can walk on your lunch break with a co-worker and keep your heart just as healthy? Sounds more appealing, doesn’t it? We have long known the health benefits of walking, but most people would tell you if you want to be “more fit”, you should bump up the intensity to a run compared to a walk. Before you call your running buddy and cancel, let me explain. Before you start any type of exercise program, it is always wise to first discuss this with your primary care doctor. Your doctor will be able to discuss any concerns or restrictions you may have when first starting a new regimen. This is also a chance for you to ask any questions you may have about your health. Once you have talked to a doctor, the next best step is to meet with a degreed and certified Health Fitness Specialist. This professional will take you through a series of fitness tests to be able to correctly assess your current fitness level and also create a safe and individualized exercise plan. They will lay out a plan that will best help you reach your goals. My third tip when first starting a new exercise program is to start slow. Make slow changes to your routine that becomes lifelong habits instead of trying to change everything at once. This will enable you to make changes that you can stick with and create a permanent change for your health. 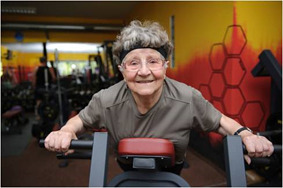 Regular physical activity is essential for healthy aging! There are two main questions that I am constantly being ask: how much exercise should I do? and how do I find the time to exercise? The first question is easy to answer. There are specific guidelines that seek to help older adults select types and amounts of exercises appropriate for their abilities. The key word is ability, please know your limitations and make sure you have your doctor’s consent. Avoid inactivity. Some is better than none! Do at least 150 minutes (2hours and 30minutes) per week of moderate-intensity Aerobic Activity! These include walking, biking, rowing, nu-step, water aerobics, and even dancing. These could be performed in episodes of 10-15 minutes throughout the week. Do at least 2 days of muscle-strengthening activities. These include weight machines, hand-held weights, exercise bands, calisthenics, even digging in the garden. Do stretching and relaxation exercises as often as possible. Yoga and Tai Chi are excellent choices. Do Balance Exercises 3 or more days per week. 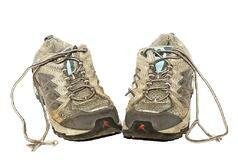 These include backward walking, sideways walking, heel walking, toe walking, and standing from a sitting position. Remember use support (wall or chair) until you feel more stable. Tai chi also may help with balance and preventing falls. The second question is always the most difficult because the number one excuse for not exercising is “LACK OF TIME”. Even when one retires it seems that all the coupled activities and events leave little room for that important part of our day “EXERCISE”! No matter how busy you are, someone even busier than you is finding time to exercise. Here are some ways to squeeze in that time. Wake up earlier or get to bed later. Sleep is definitely important but you can start your day an extra 30 minutes earlier or end your day an extra 30 minutes later. You have the advantage of making your own time schedule, and you know whether you’re a morning or evening person. Cut down on media. Record how many hours of television you watch or how many hours you spend reading or on the computer. Cut out some of that time and you will find you have an extra 10 to 30 minutes to exercise. See Number #3! Be an active TV watcher or active listener. Combine exercising with watching your favorite show! They have televisions in Fitness Centers! Books on tape are wonderful in enjoying the time you exercise. Walk around! Getting from one place to another by walking there and back is a great way to incorporate exercise. Consider your limitations (using a walker, cane, bad knees etc.) but find ways that promote movement. The stairs, the hallways, standing and talking will burn calories and improve lung function. So take a walk to your retirement community fitness center. Make it part of your routine. You brush your teeth, you find time to eat, to socialize, to shower and even to catch up on your favorite television shows or good book. Therefore, make exercise a part of your daily routine, once it becomes a habit it will be something that you don’t even think about you just do it. 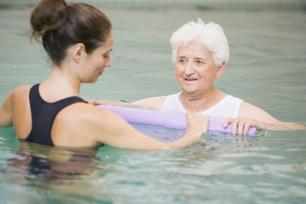 Before you know it you will be an active member of your senior living fitness program! Mix socializing with exercising. Find an exercise partner, a group to walk with outside or in the hallways, even attend exercise classes where there are others on a regular schedule. Motivate someone to join you and have them motivate you. Schedule an appointment. You wouldn’t want to miss that doctor’s appointment because you may not get another one for over a month. So why not set a standing appointment with an exercise buddy, a retirement fitness center personal trainer or your dog, and be accountable to exercise on a specific day and time. Set a goal. Whether it’s losing weight, gaining weight, standing taller, walking longer or even balancing better. Exercise provides you those results! Think about what motivates you to want to incorporate exercising and start working to achieve your goals! Find an activity you love. Not everyone wants to come to the community fitness center and not everyone enjoys attending classes. Dancing, hiking, walking outside and even playing golf provides exercise. Therefore, do what you love but make sure it keeps the body moving! Say no. The big one. Look at your priorities and responsibilities. Do you really have to involve yourself in everything on that list? Can you start to say no to specific things that hinder your ability to find time to exercise? April is the perfect month to start walking for exercise, or to simply ease back into a workout regimen. It is easy to do and can be done anywhere. All you need is a good pair of tennis shoes. There are many health benefits associated with walking. It helps to lower LDL levels (“bad cholesterol”), raise HDL levels (“good cholesterol”), lower blood pressure, reduce risk of type-2 diabetes, manage weight, improve mood, and increase overall fitness level. Remember to begin slowly when starting a walking program. Take a few minutes to prepare yourself at the beginning of every walk. Wear comfortable clothing and protective shoes. Begin each walk with a five-minute warm-up at a comfortable pace and then stop to stretch major muscle groups. This will increase your heart rate and help prevent injuries. After each workout, cool down for five minutes at a comfortable pace. It is important to follow proper technique when walking. Head should be held high, shoulders down and relaxed, arms swinging naturally at side, and feet should be shoulder-width apart. Tracking progress will help keep you motivated. It will also show improvements over time. Record in a notebook the date and how long each walk was. The most important thing is to have fun! If you enjoy what you are doing, you will continue doing it. Change your walking route often to prevent you from getting bored. Try walking at lunch and invite a few coworkers to join you!